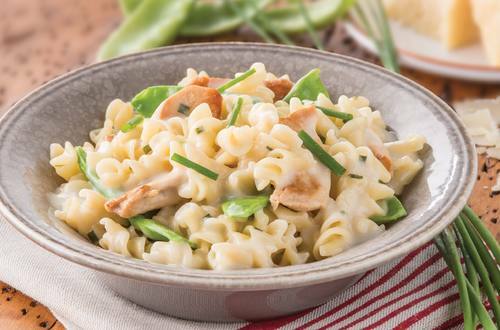 Quick and delicious, the Continental Alfredo with chicken and snow peas recipe can be ready in just 20 minutes and serves 3-4. 3 Add snow peas for the last few minutes of cooking. Sprinkle with lemon zest to serve.